Enhance your web site with Daily Top 10 links. Adding content to your web pages is a great way to enhance your website and attrack new and repeat visitors. We provide you with RSS feeds as well as our Daily Top Ten Links Portal. 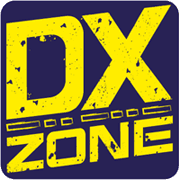 The Top Ten Links Portal can be added to your site by adding the proper HTML code and will display the top clicked links for the main dxzone.com categories, in the previous 24 hours.